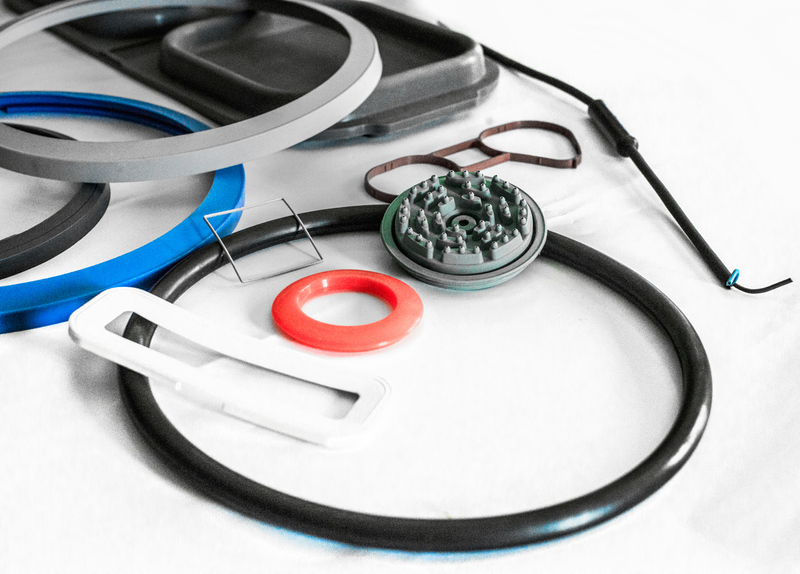 Household electrical appliances - Rubber gaskets for appliances - Seals for the kitchen - Elastotech S.r.l. Numerous elements are used in the broad sector of household appliances, which has variousand diverse needs. Some of the fundamental characteristics peculiar to this sector are compatibility with food, achieved through special mixtures such as silicon, which is odorless andtasteless, and resistence to high and low temperatures, as well as mechanical resistence and electrical insulation. Elastotech works with industries in the sector to make everydaylife safer and more comfortable. Special gaskets to be used in the production of large and small electrical appliances: non-toxic, approved, insulating, conductive, two-part,rubber-plastic, rubber-metal, overprinted for very high and low temperatures, LSR (Liquid Silicone Rubber), steam-proof, wear-proof shockproof, ripproof, aesthetic, coloured to RAL or PANTONE® chart, etc.